There are many commercial roofing companies competing for your patronage in the Allentown, PA, area, but which among them are trustworthy and will perform quality work? 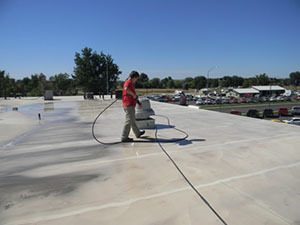 Your roofing asset is one of the most important components of your commercial building, standing guard as its first line of defense and protecting it and its valuable contents from Mother Nature’s damaging influences. 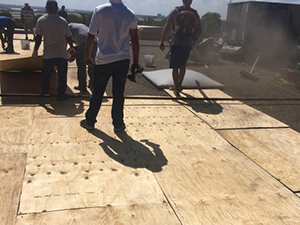 As such a vital protector of your building, your roof should only be trusted to the very best—a commercial roofing company that is fully licensed and insured and is committed to delivering quality work that has been done to code. Capital Coating is just such a roofing company. No matter what your industrial or commercial roofing needs may be, we have the expertise and top-quality tools to address them and do the job right. Give us a call today at (717) 442-0979! Is the company properly licensed and insured? Do they have a good reputation with local customers? Do they have verifiable service records to show their track record? Are their technicians professionally trained? Do the technicians follow industry-mandated safety practices? Does the company have the expertise to perform roofing work to code? When Capital Coating is the roofing company you partner with, these and other important questions will always be met with a resounding “YES!” For all of your roofing needs great and small, you can count on Capital Coating for a job well done! Give us a call today, (717) 442-0979, to experience the Capital Coating difference for yourself!